Hanoi (VNA) – Empowering women by giving them control over their finances is not just smart economics but also key to ending poverty and supporting women to start and run businesses contributes directly to this objective, Country Director for the World Bank in Vietnam Ousmane Dione said in a recent interview with Vietnam News Agency. Research used to support the “Gender Mainstreaming Strategy” launched by the World Bank in 2001 highlighted that societies that discriminate by gender tend to experience slower economic growth and poverty reduction than societies that treat males and females more equally. “Constraints on access to financial services for women lead to constrains on economic activity – when women suffer, the economy suffers. When women do well, society benefits,” Dione said. “It is also well documented that female-controlled finances result in higher spending on household necessities such as food and water, and child welfare, including school fees and health care”, he added. 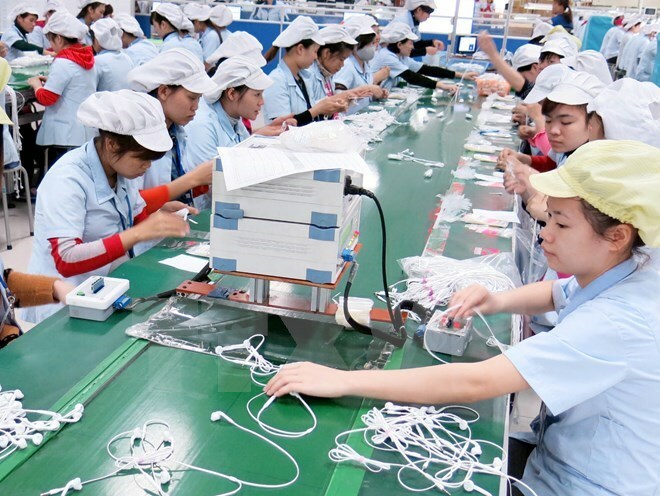 Vietnam is working towards becoming a start-up nation in the Asia-Pacific Economic Cooperation (APEC) region, and aims to have one million effective enterprises by 2020, thirty-five percent of them led by women. In recent years, the Government has made efforts to tap women’s potential by improving the business environment and implementing the Law on Gender Equality, Law on Investment and Law on Enterprises as well as other decrees supporting female entrepreneurship. Statistics from the Vietnam Association for Women Entrepreneurs showed that the number of women business leaders in Vietnam increased to 91,000 in 2015 from 65,000 in 2010. Vietnam has the highest percentage of female leadership in Asia, according to the report “Women in the boardroom: A global perspective” by the Deloitte Global. The analysis is based on data covering nearly 7,000 companies in 64 countries. Vietnam leads Asia with 17.6 percent of female board members in a sample of 50 Vietnamese companies, above the global average of 15 percent. Vietnam was also ranked among the top 10 countries most suitable for female-founded start-ups in a report from Mastercard released in April 2017. 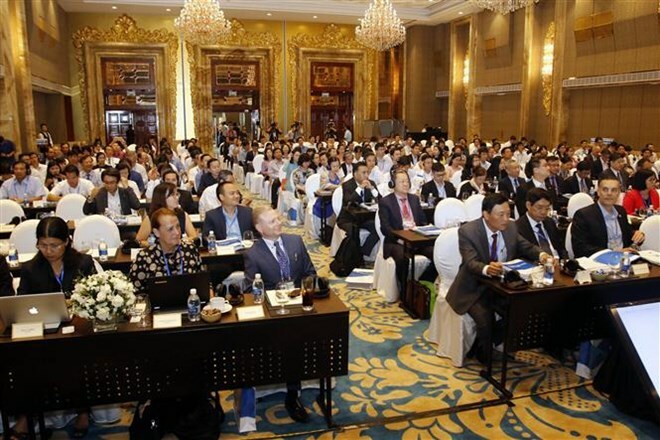 “The Vietnamese Government has been visionary in setting such an ambitious goal. It certainly has encouraged Vietnamese people to look to creating startups”, Programme Director of Vietnam Startups Acceleration Association Adrian Tan said. At the APEC 2017 Start-ups Forum in Ho Chi Minh City on September 12, Secretary General of the Vietnam Chamber of Commerce and Industry (VCCI) Pham Thi Thu Hang said Vietnam is on its way to becoming a start-up destination as it has a promising market and growing population. With the spirit of “Dare to Think, Dare to Act”, Vietnamese youngsters are capable of creating a start-up community in the region despite external competition, she said, highlighting the significant role of policy makers in building a dynamic and innovative start-up ecosystem. Director of the Asia-Pacific Foundation of Canada Vilupti Lok Barrineau said there are ample start-up opportunities in Vietnam and she found it very interesting to see many young Vietnamese people with a lot of energy and excitement to start their own business and take control over their lives. “I’ve spent a lot of time with the start-ups around the country, and what excited me the most is the openness of Vietnamese people to learn from other countries within the APEC structure,” she said. Alicia Robb, founder and CEO of Next Wave Ventures, said “I think we (women) have a huge role to play. We are half the population, but we make up a minority of entrepreneurs. I think we need more women leaders, entrepreneurs and investors to create the world we want to live in”. “Women-led businesses play an important role in any economy. Formal and informal SMEs account for more than 90 percent of enterprises in the economy and contribute about 50 to 60 percent of employment in the world,” Ousmane Dione said. “Empowering female entrepreneurs, especially those in high-growth sectors, such as manufacturing or IT, has the potential to create jobs, increase incomes, lift millions out of poverty, and lead to greater economic and social transformation,” he recommended. 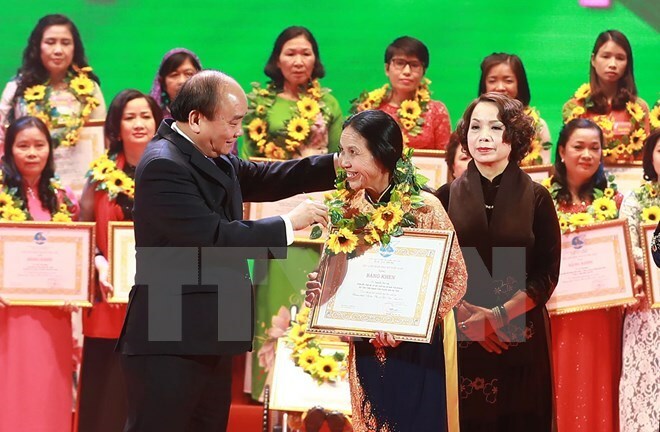 Truong Thi Nam Thang, Director of the National Economics University’s Centre for Social Innovation and Entrepreneurships, highlighted the role of women in economic development, saying they are half of the world and half of the workforce in Vietnam. Women contribute to the well-being of society by generating jobs, providing products and services, creating shareholder value, and reinvesting, she said. She added that female leaders tend to support ethical business practices; therefore, encouraging women to become entrepreneurs can promote ethical business practices and corporate social responsibility. Sharing Thang’s viewpoints, Founder and Director of the Women’s Initiative for Start-ups and Entrepreneurship (WISE) Tu Thu Hien said encouraging women to embark on business ventures is important as they make up 50 percent of the labour force in Vietnam and hold a lot of untapped potential. “Women have a lot of potential, initiatives and good mindset, and if they are encouraged and effectively used, they could develop many business models and create high-quality products and services for society,” she stressed. A 2016 report by the Mekong Business Initiative also asserted that women-owned SMEs play an important role in Vietnam’s socio-economic development. They comprise 25 percent of the total number of active SMEs in Vietnam, a higher percentage than in other countries in Southeast Asia, the Middle East, North Africa, and Sub-Saharan Africa. They operate mainly in services (61.4 percent), which is a more environmentally friendly area of the economy, employ a higher percentage of female workers, spend less per worker on wages, contribute slightly more to the national budget in taxes per worker, and spend slightly more on social insurance than in male-owned SMEs.